Fear, rage, euphoria? He doesn't feel them! Because as a Vulcan, Mr. Spock doesn't allow feelings. The first officer of the Enterprise, with his trademark pointed ears and dry humor, bases his decisions on logic only. 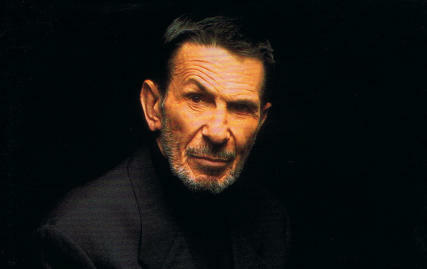 "I'm the blatant opposite of him," Leonard Nimoy (78) explains - the man who played the cool pop culture icon for decades. But, does the famous Hollywood star really see clear on this? Das Goldene Blatt: Your own ears are almost as large as Mr. Spock's in real life! That way the make-up artists had less to do. Large ears with long earlobes are a symbol of long life. What else is there to want? And the more harmonious the ear is sculpted, the more harmonious the person. My wife Susan says so. Since I'm a polite person, I'm not going to dispute her. You've been married for 21 years to this woman! And often regret that we wasted 23 years of our life, for we first met 44 years ago. But you didn't fall in love? It wasn't in the cards at the time. I was married to my first wife, Susan was in a relationship, too. ... and this after I left the film business years ago. Because I came to the realization that I had achieved everything, if not more. At some point I was shooting in Morocco, the air conditioning in my trailer was broken, I was angry and asked myself: "Why do I do this to myself. Why aren't Susan and I not enjoying life before it's too late?" And that's why I left Hollywood behind. You're 78 years old, what does time mean to you? It's important, it's something irretrievable that I value highly and therefore try not to waste it on nothing and nobody! Notably well! Because I've learned to live each hour as best as I can as if it was my last. I'm being so explicit about this because it influences my life with my wife positively in a most fundamental way. I don't want us to fight even for a second because our life together could end from one day to the next. That sounds great in theory - how does it work out on a daily basis? We talk quietly then, try to convince the partner using rational, objective arguments. That requires a lot of discipline! Right. Don't you think that's something I should've mastered at 78 years of age? What if you and Susan disagree? We don't argue, because Susan and I are sensible people, who acknowledge who got the better argument. If it me too long, I get out my death watch, as I call it. I had it made to my specifications because on it time runs backwards. That way I'm conscious about time running out without mercy until the hands come to a standstill at some point. At my hour of death. Doesn't thinking about your death depress you at all? No, because I'm a rational being and know that our time on earth starts running out at the time we are born. Always be aware that everything changes all the time! I want to live my life with open eyes and take it all in with a conscious mind and, if possible, enjoy it. I'm not Mr. Spock, I don't talk like him, act not like him, don't live like him, and under no circumstance want to be like him!